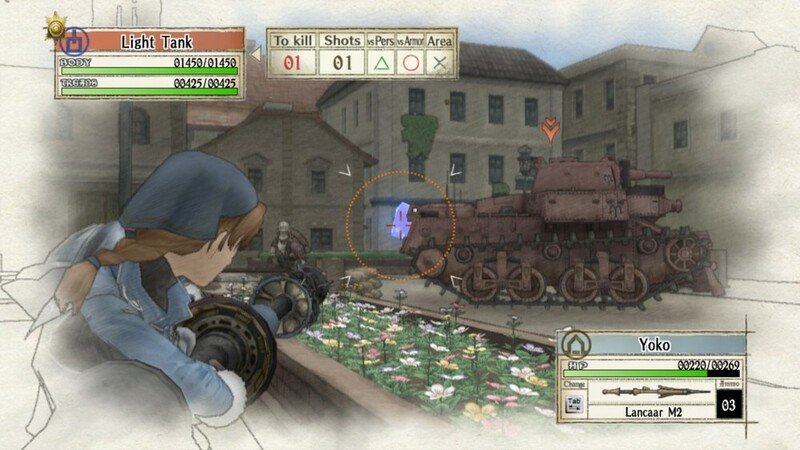 Valkyria Chronicles is a weird mix between a turn-based strategy game and a third person shooter set in fictional Europe during a parallel world World War. With plenty of content, neat style and somewhat deep systems, it could've been a great game for me, sadly it doesn't go over "good" since the mix of strategy and shooting created a bunch of frustrating messes that I didn't enjoy slogging through at all. 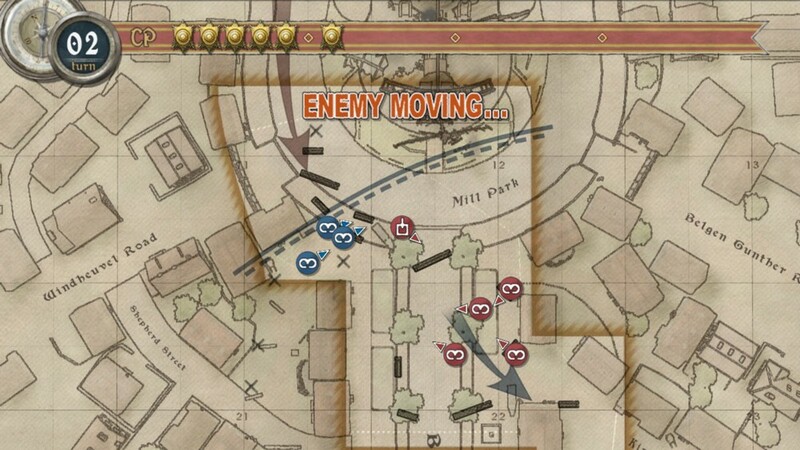 Each map in the game has a specific objective, sometimes it's to kill all enemies, other times you have to capture specific points or hold on for a certain number of turns. You have Command Points that you use to move your units or use special abilities. You see a map of the battlefield and select units to move, then you control the units directly in third person and you do your shooting in that view. You can duck behind sandbags to get more defense and aim at specific spots of your targets to deal more damage or to do additional effects - like slowing down a tank, for instance. After you've spent all of your points, it's the enemy's turn. On paper this sounds great, but in reality I'm having plenty of problems with that very core mechanic, I feel that they should've focused more on strategy or action, but not split the game up like this. When you're moving towards enemies, they shoot at you, but they stop when you're aiming, it's kinda random how many times you'll get hit or how long you have to get to a close-enough range to fire at them while sustaining defensive fire. 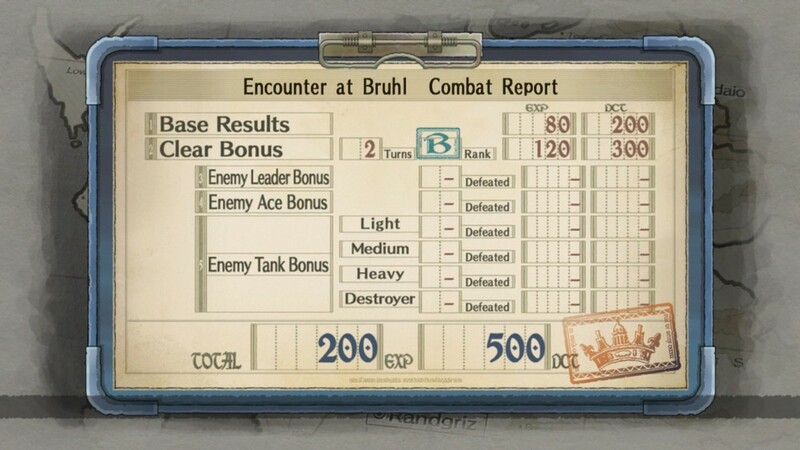 This scraps the strategy aspects a little when your plans fail and your soldiers die because you couldn't mash the "aim" button fast enough to stop your enemies from firing at you. A second problem with this whole system is how unclear the odds of hitting your targets are. The aiming circles are huge and they don't offer you and odds of how an attack will go. Therefore the shooting feels kinda bad, if the game told me that I had a 25% chance to hit the tank radiator with my rocket, I would feel way less frustrated when I miss at medium range with the only info available being "1 shot needed to destroy this". Failing to kill an enemy that only needs 5 shots to hit with 20 rounds is also pretty bad. These two things combined turned me off from the game after a while. Being unable to properly execute my strategies because of random outcomes of moving around and being unable to shoot properly because of the hidden RPG elements. And this is too bad, because VC is full of neat things. I love the way you make your squad full of people with different strengths and weaknesses - although I feel that allergies draining your HP constantly is a bit rough - and people they enjoy working with. It would've been nice if the game told you what your abilities did when they triggered mid-fight, but that's not such a big deal. 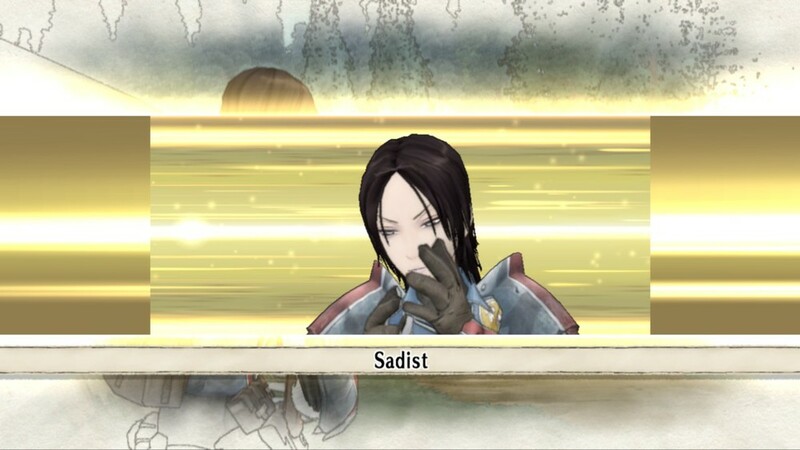 You spend your experience training your units - giving them more health, getting more passive skills - and you spend your cash upgrading your weapons, armors and tank parts. I'm not a fan of the way this content is gated behind story progress, I kinda wish I could've grinded to get an edge on difficult fights. In any case, VC is a really neat idea executed somewhat poorly, in my opinion, and way too difficult for me. If there was something I did wrong, the game never cared to explain it to me, and I stopped after losing three times on a map where a dragon tank destroyed me.